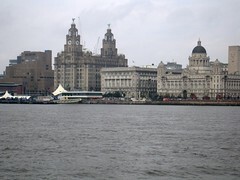 The Irish in Liverpool were migrants not immigrants they moved freely to England just as Welsh and Scottish people did. The first known migration of Irish people to the Liverpool area was around 902 AD when Vikings and Irish people left Ireland and settled mainly around Wirral but also near what would later become Liverpool. This settlement was allowed by the Anglo-Saxon rulers of Mercia. At a later date these Vikings tried to take Chester. During the siege of Chester the Irish settlers sided with the Anglo-Saxons. The source of this information is an old Irish document known to historians as “The Three Fragments”.